Now this is a must watch! It's well known that cats and small rodents don't get along. 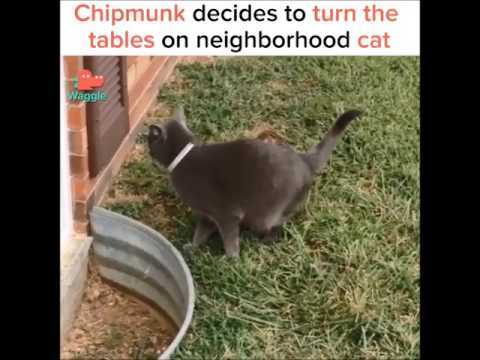 In this clip you'll see how a chipmunk out smarts a cat. It's hilarious! I've never seen anything like it. At first I was a little nervous to see how this clip played out but I'm so glad I click on this link. It's a short clip so be sure to watch the whole video. Enjoy!